Ladybird Beetles or Ladybirds are of the family Coccinellidae, from the Latin word coccineus meaning scarlet. The term Ladybird or Lady Beetle originates from British red, seven-spotted ladybird. The ‘Lady’ refers to The Virgin Mary, who is often depicted in early paintings wearing a red cloak, and the seven spots symbolise the seven joys and seven sorrows of Mary. The common Ladybird image is of a cute, benign creature – pretty to look at (usually orange/red with black markings) and beneficial in the garden for reducing pests. This image is further promoted by cartoons of the insect world, such as Minuscule on ABC-TV, where ladybirds are the ‘good guys’ whose main sport is to vex the poor hapless spiders. hundred aphids per week. 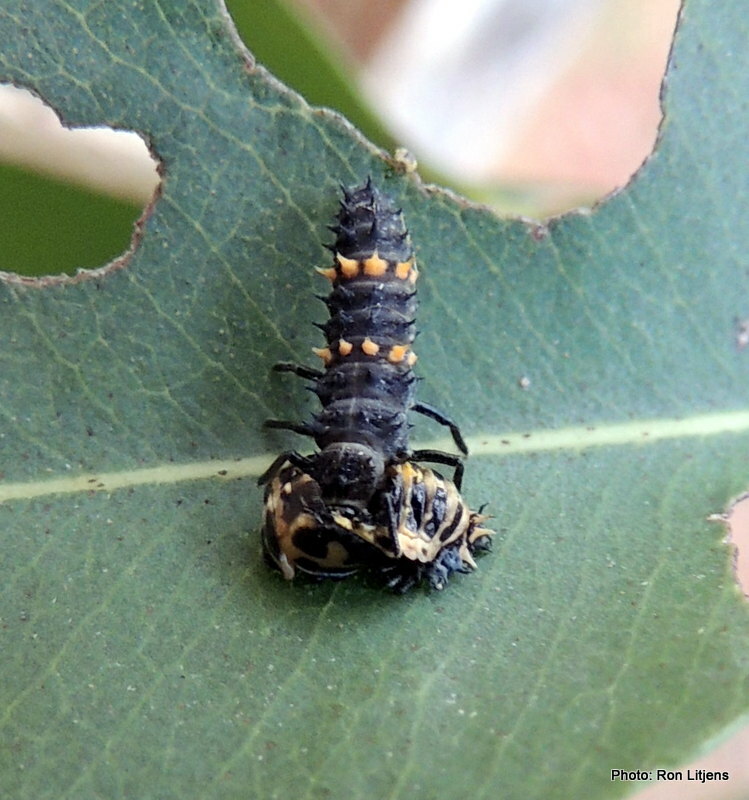 A ladybird larva moves around using a combination of its six legs and the tip of the abdomen, which can attach itself to surfaces. During feeding, a larva may suspend itself by the abdomen, leaving the legs free to grasp prey. The red colour serves as a warning for ladybird predators. 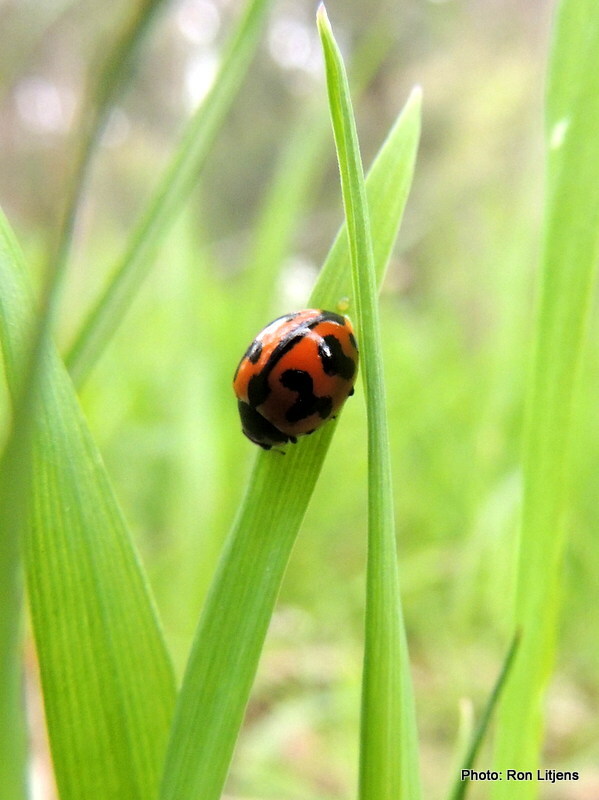 As extra protection, when disturbed ladybirds may exude an off-smelling toxic liquid. Not so lady-like after all.